Three years ago, we had our Skycrapercity Facebook Group Grand Meetup held here at Primo. And that was my first time to taste Primo Pesto Linguine and Mojito. First impression really last, I feel in-love with this place. 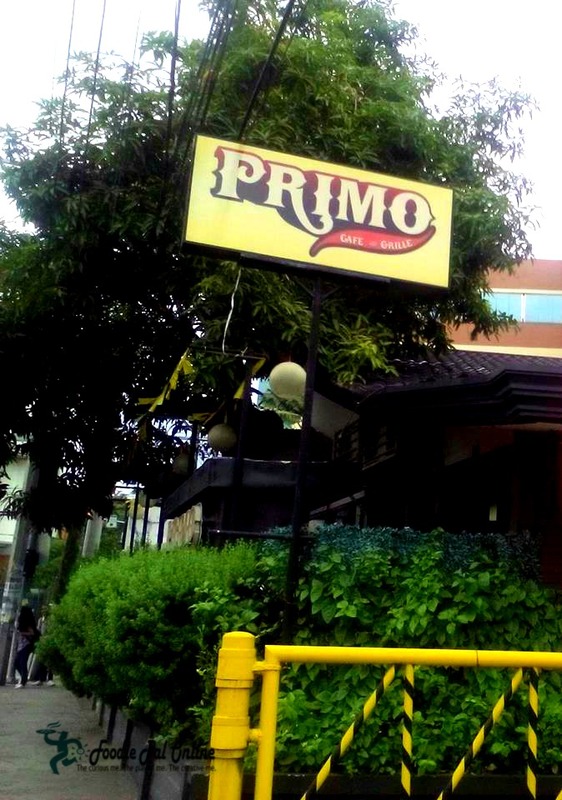 PRIMO CAFE and GRILLE was borne out from a group of friends who loves to eat food and wanted to share their unique talent in making sumptuous dishes. The idea to have a place perfect for dining and the same time to have fun together with good friends. 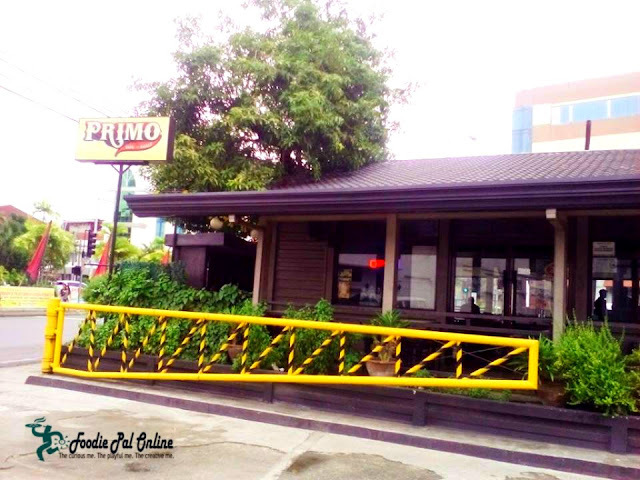 From the restaurants' name itself "PRIMO" a Spanish word means a cousin, a close friend, a relative which connotes great bonding or a common bond of loyalty. Primo or "prime" in English stands for a first in excellence, quality and value. A state or time greatest strength, a vigor and success in a person's life. 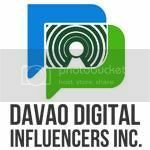 Glad to read an invitation post at Davao Bloggers group that Primo is looking for 15 Bloggers to take time taste their new featured menu dishes at their restaurant. So, I grab the opportunity since I also have a meeting at 3pm in that the same area. It will be a great privilege to be the first person to taste their newest addition to their menu. June 18, 2015, 11:30AM, a day that we feel that buzz among us and hungry to taste the new menu from Primo Cafe and Grille. 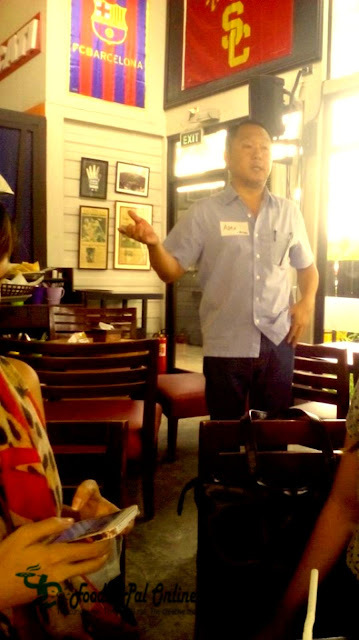 Started with a welcome speech from Mr. Alex Tiaoqui, Primo Cafe and Grille's General Manager. Followed by the launching of the said delectable new dishes, starting with the BAR CHOW & STARTERS(appetizers). 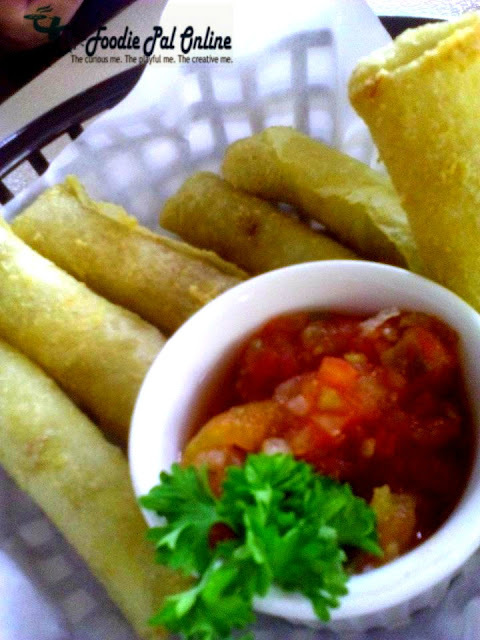 Deep fried cheese with cumen, paprika, and green bell peppers wrapped in lumpia wrappers. And served with fresh roasted tomato salsa. 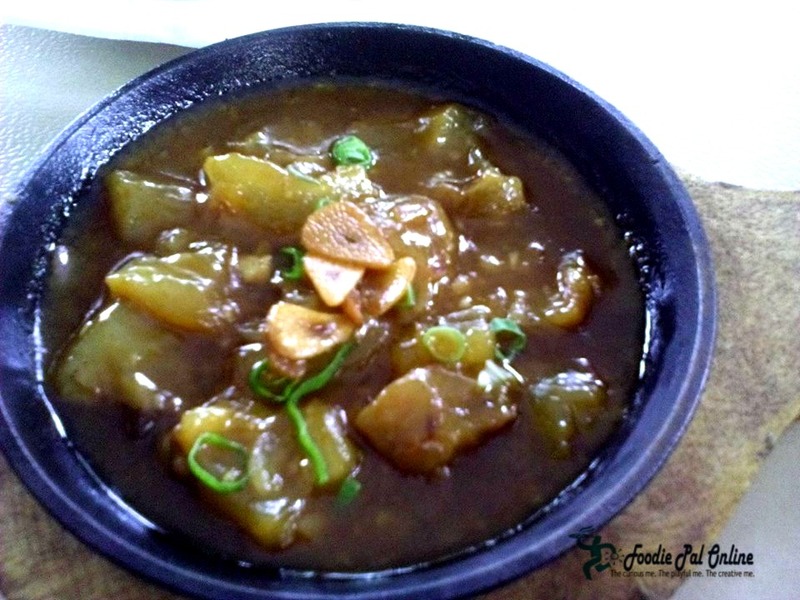 A must try dish! A dish love by most of Filipinos. Beef Tendon or "litid" in layman's term, mix with gravy and garlic. 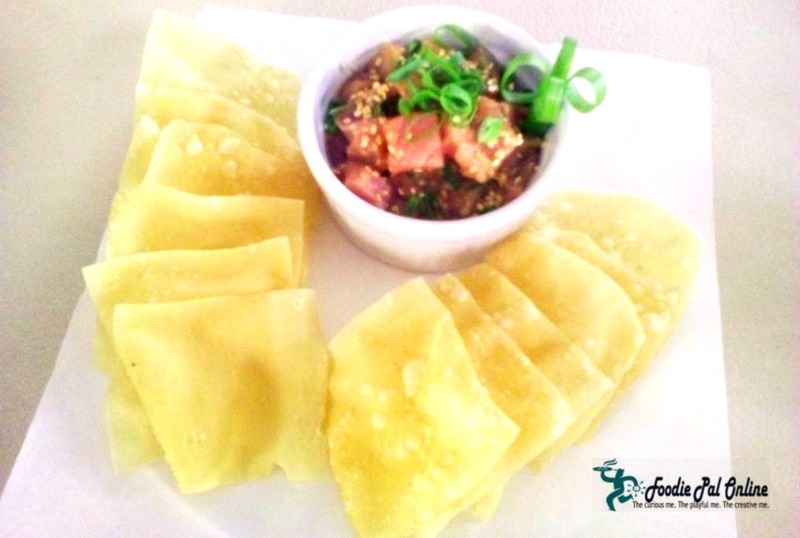 For me, I thoroughly enjoyed the fresh Tuna Sashimi Diablo, super love the crispiness of the wanton skin and the taste of the sashimi---perfectly marinated plus the added Kikkoman sauce on it! 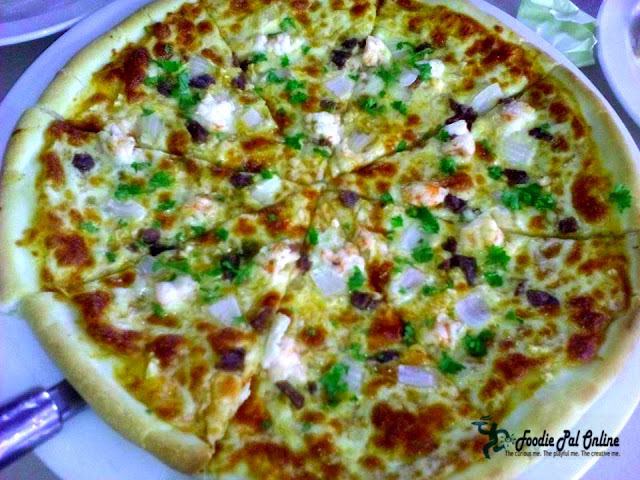 The PIZZA & PASTA menu is still the same, my one and only fave is still the best seller of all time. 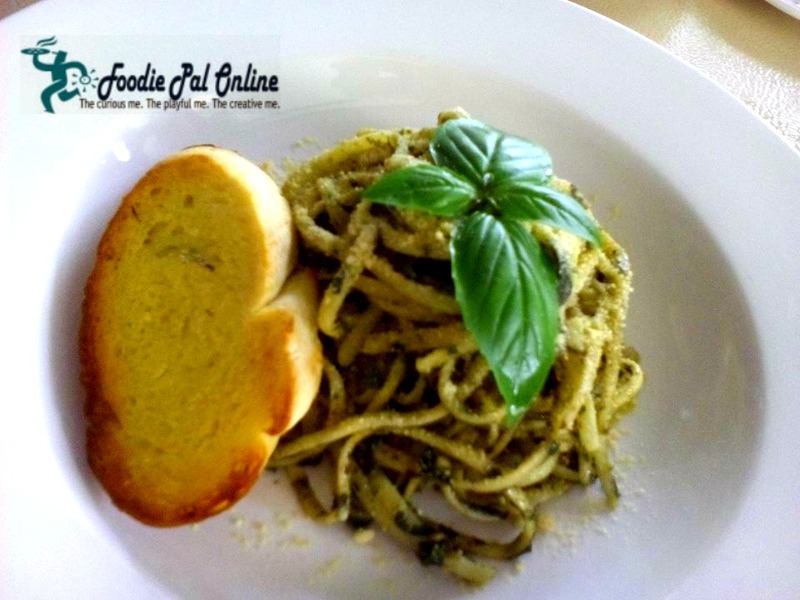 A mixture of pesto sauce with toasted cashew nuts, linguini and parmesan cheese. 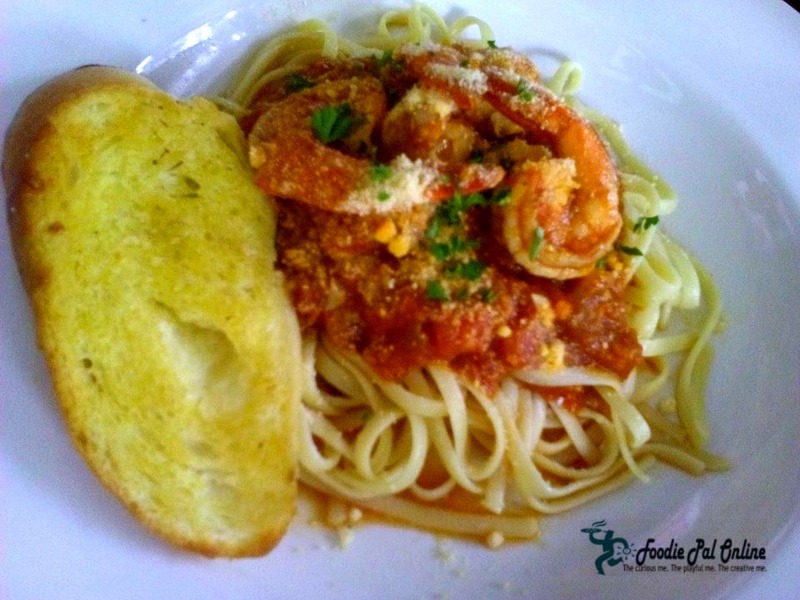 But they have added two new dishes that you will surely love, especially those who loves to eat seafoods. A spicy gambas added with a home-made marina sauce and red pepper flakes. For the main course, though shrimp diavel pasta is a must try food now, I still love my personal favorite Primo Pesto Linguini. Maybe because I don't like the after taste of diavel, it doesn't taste like acid---it's just sour! If you like food that are salty, well this pizza is for you. You really need a glass of drink if you order Supremo pizza, it is too salty! 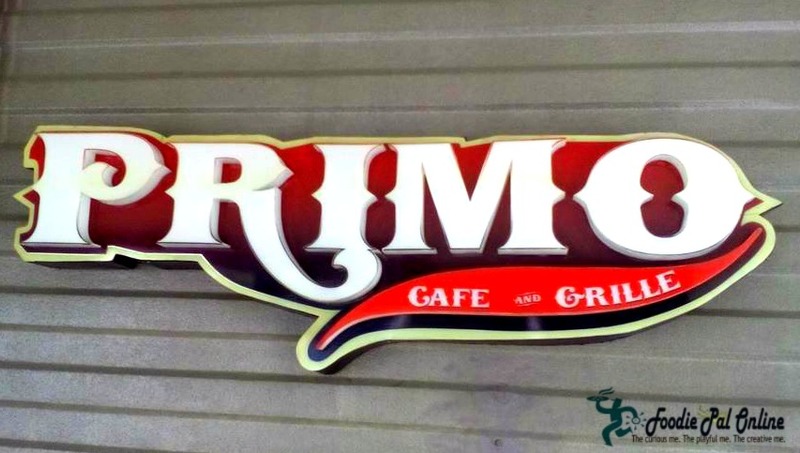 If you want to have a quick tasty bite on a BURGERS & SANDWICHES---"PRIMO" is the right place for that. 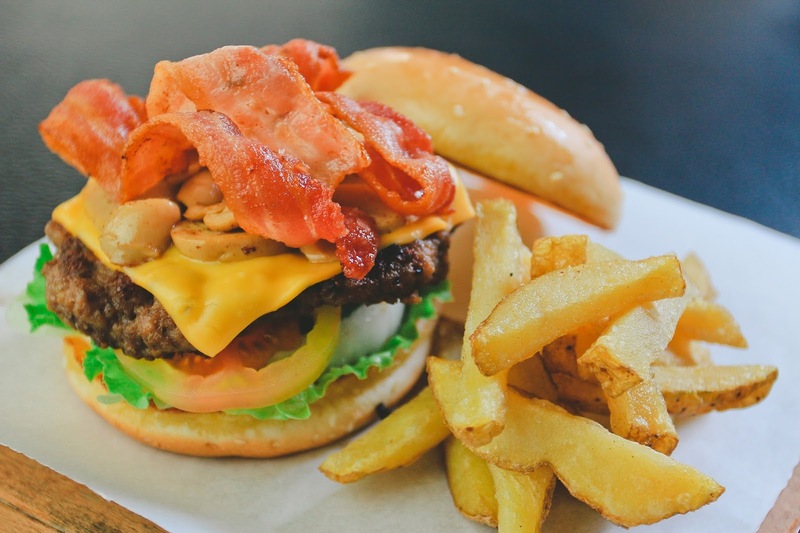 An all beef patty, with melted cheddar and mozzarella, bacon strips, mushrooms, tomatoes and a buttered bun. It's obvious that I don't have a good photos from these two dishes, because I am busy eating them all. Hahahahaha...so funny, but I really like the taste --- I love the mozzarella melt with the bacon and mushroom. 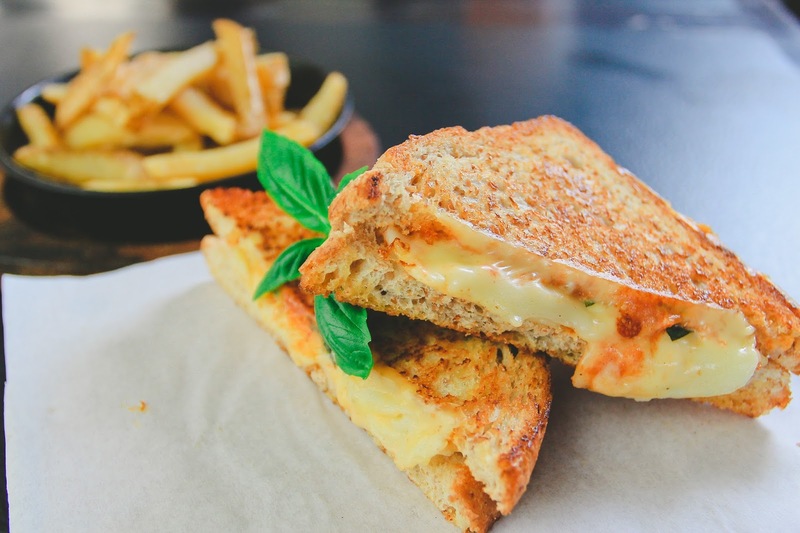 And I love the combination of cheese, tomato and basil! All in all..the BEST! Whenever I want something sweet but don't want to start baking or blending, I think of a waffles. And as I often stuck with savoury thoughts in my minds, the craving -- I think of Primo SWEET TREATS. And what about the drinks? They served us an ICED VIETNAMESE COFFEE PHp60 only. The iced coffee is so refreshing. A perfect delicious pick-me up on a hot day! 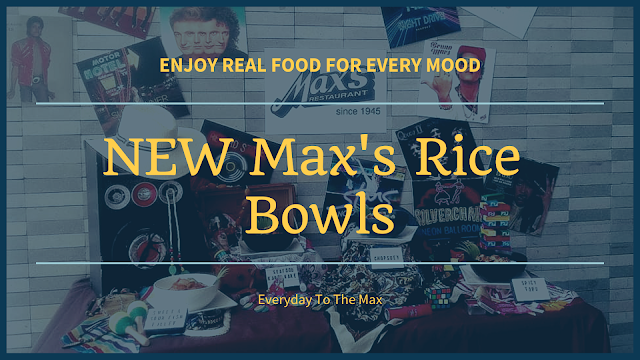 So there you have it, the list of the newest food, you will be hungry craving for brought to us by PRIMO CAFE & GRILLE located at Camus and General Luna St., besides DUCATI and fronting Apo View Hotel. Everything looks delicious. The waffles are so tempting. I have only seen tendon as a pair for noodles, but not as a dish of its own. 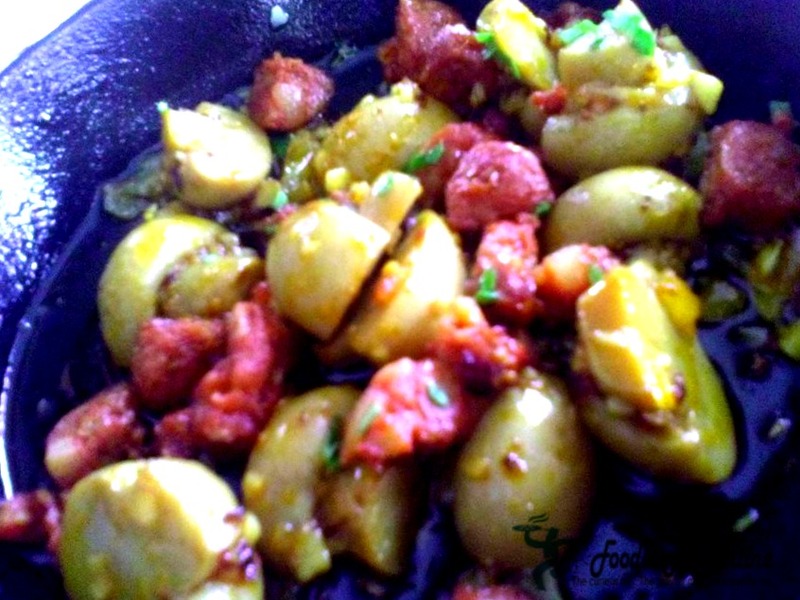 It has a very soft and tender consistency that is very unique to it. It's always great to learn about new restaurant offerings. I am eyeing the beef tendon, mushroom & chorizon plus the waffle looks glorious. I'd love to try the Vietnamese coffee too. Sizzling Beef Tendon, this is what I wanna try if ever I've visited the place. The other dishes are quiet appetizing too. What a timely visit for you. Lucky you saw the free tasting post! If given the chance to visit the, I'd love to try the red diavel pasta and the grilled chesse, tomato and basil. There are a few cheese items at Primo Cafe and Grille new menu that I like such as the cheese stick and grilled cheese tomato basil sandwich. The Pesto Linguine looks awesome too. Wow everything looks really good!!! Especially that beef tenderloin! I would love to try! The photos are all quite blurred! Is it because of steady hands or bad lighting? It will have been much more delicious looking if its clear! 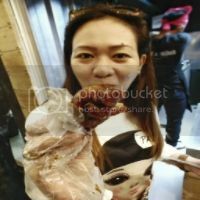 I only use my mobile cam here, sorry for the blurred pics. I would like to try their Cheesy Bacon Mushroom Burger. It looks so delicious and I love bacon. I also want to try their dessert offerings. such a tempting post. The waffles look delicious. Primo looks like a nice place to take my family to. I hope they open up a branch here in Manila. this is in Davao? where in Davao? coz I have plans going in Davao on October for my bday. And I'm already searching what places to eat and go there. I love to eat pizza and pasta for this place. It looks so cool to dine in and be with family or friends. The food seems good and delicious.